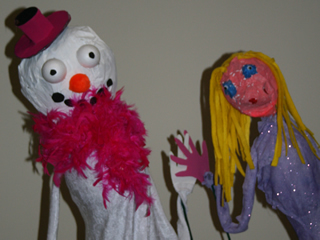 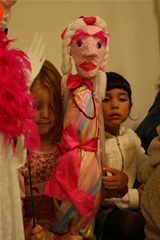 Simple Rod puppets can be made from fabrics in a one hour session, and papier mache rod puppets in two sessions. 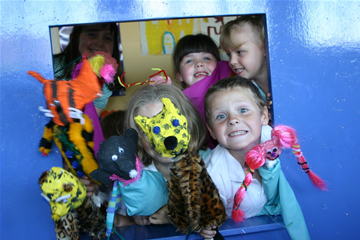 The techniques are accessible to all and allow for individuality of expression- each Character can vary wildly using the same basic structure. 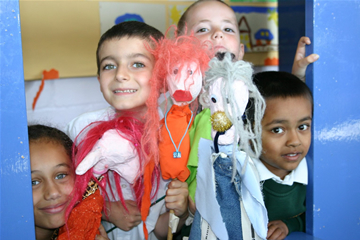 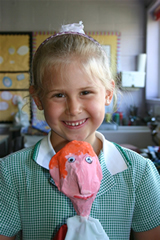 Rod puppet workshops are ideal for large groups, special needs classes and as an aid to story telling or PSHE teaching.